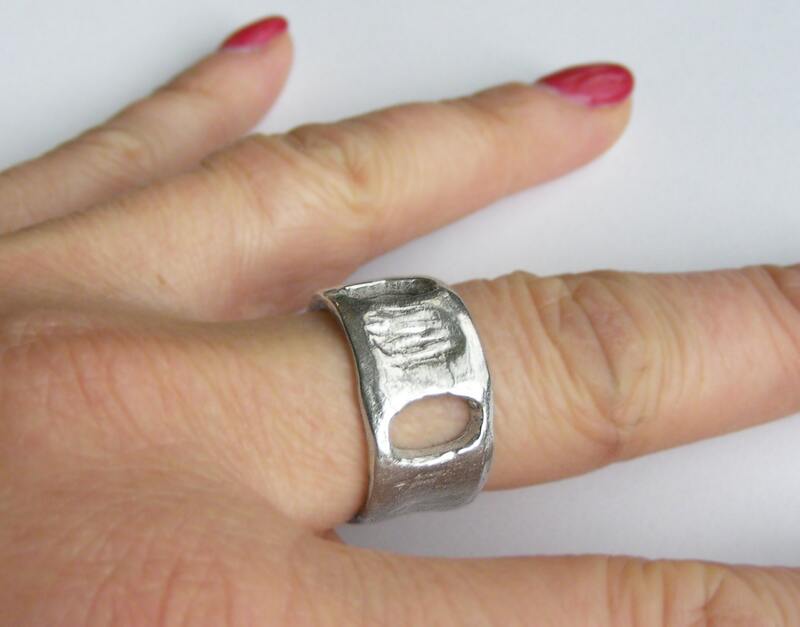 A big 'ole sterling silver ring molded from a shark vertebra. I love sharks and had the original vertebra in my box of special objects for years. It transformed beautifully into a ring. This is without a doubt the most comfortable ring I have ever worn. 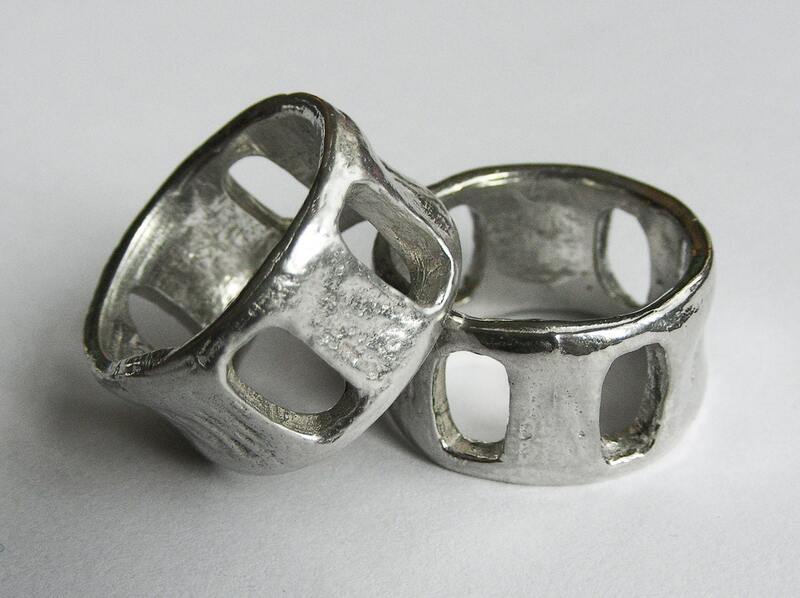 Despite the width (11mm wide) because of it's organic shape, it conforms really well to the finger. I love this ring and wear it all the time. 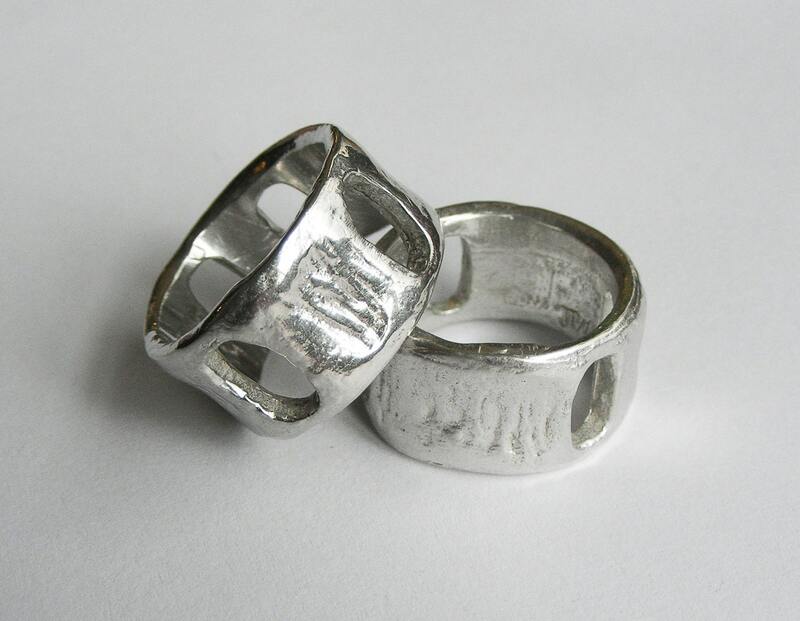 Looks great on girls and equally great on guys as a pinky ring. 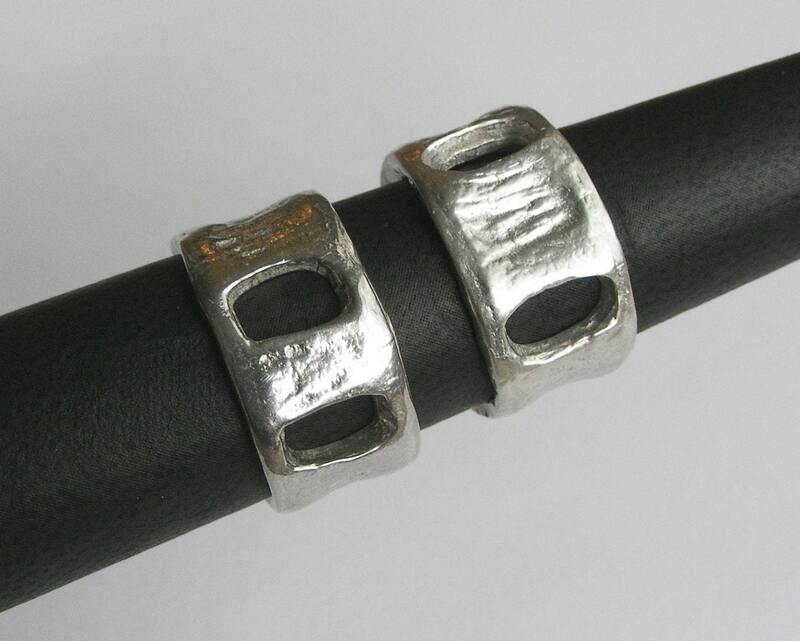 Cast in recycled sterling silver, US size 6. 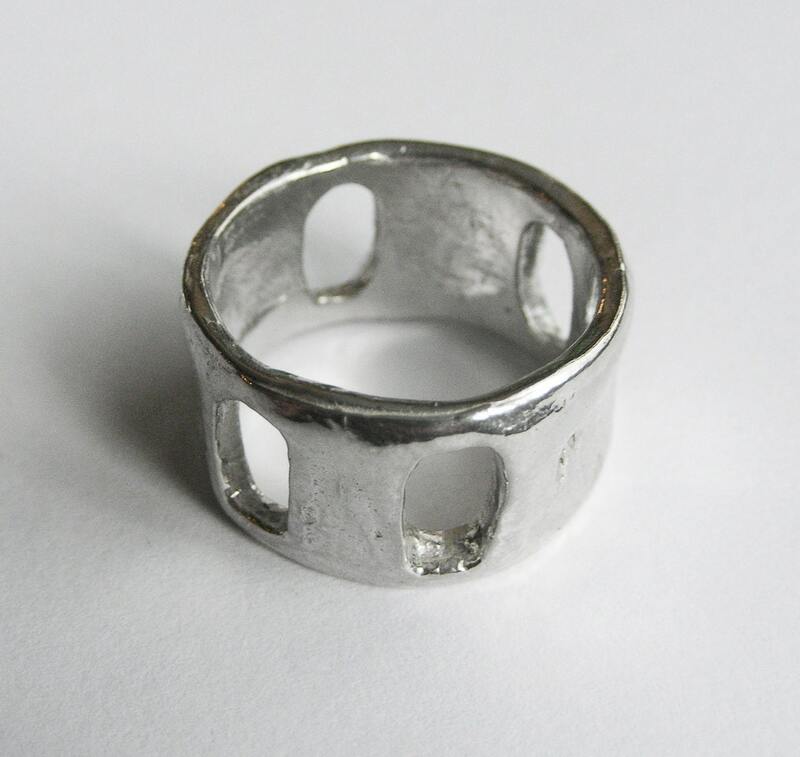 THIS LISTING IS FOR 1 SILVER SHARK VERTEBRA RING ONLY.